Haha! You know I don’t do desserts! Go here and see what goodness Allison is cooking up in her kitchen! stomps off….. to make my own damn apple dumplings thankyouverymuch. Yep – I knew something was up. You’re one of the few people I’ve encountered who agrees with me about sweet vs. salty. We savouries have to stick together! One day we will get you to embrace the dessert. Or at least coexist with it. Of course, you know I am on my way to see that recipe. Stat. Well, the fruity peach-gin-ginger-ale fizz you posted over the summer was divine, but I guess the gin does cut down on how fruity it is. Ahh! You tricked me! 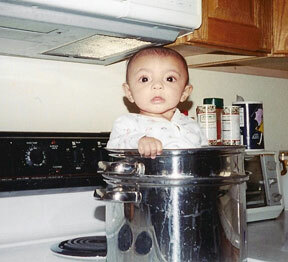 Who dropped you on your head as a baby that you don’t do desserts?! Off to visit Allison and her awesome-sounding dessert now! Going to check this out. I love apple crisp and I love caramel, so what better combination?! MP9HHh Enjoyed every bit of your blog.Really thank you! WFgOx4 I truly appreciate this blog post.Thanks Again. Really Great.